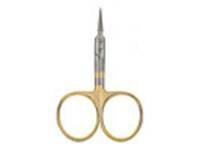 Short fine bladed scissor designed for small flies and detail work. The notch at the base of the blades is designed for cutting wire and lead. Excellent for natural materials and can handle most synthetics. 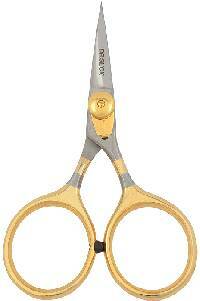 Great scissor for in-hand tyers. The name says it all! 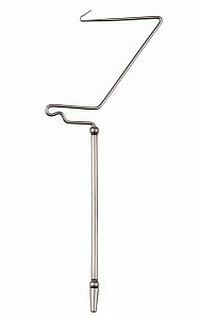 Medium length with blades designed for small, medium and large flies. The one to have in your travelling kit. Excellent for natural materials and can handle most synthetics. Dr Slick Razor Scissors are possibly the sharpest scissors ever created. Think razor blades with handles. These thin blades with a razor edge make short work of all materials. 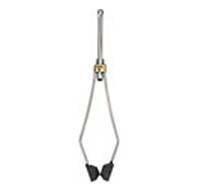 Adjustable tension allows for loosening or tightening as materials warrant. Cuts through natural and synthetic materials like butter. Made from 440 grade J2 steel. These are the ultimate tying scissors. 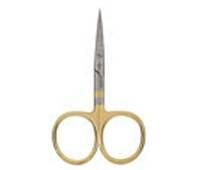 These scissors are based on the Big Three and on a simple concept. Picking flat scissors up from a flat surface is no fun, and sliding them across your bench to get them in your hand is a time killer. 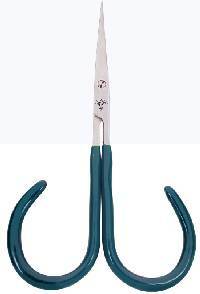 By placing a bend in the middle of the scissor, the problem of picking up is solved. 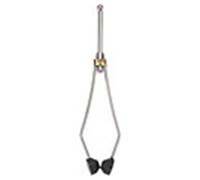 Handles and performs just like a regular straight scissor. Excellent with natural materials and can handle most synthetics. The ultimate onehand wonder! No loops, just squeeze the spring arms together and the blades cut. 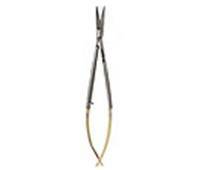 Great scissor for detail work and in-hand tying. Excellent with natural materials and can handle most synthetics. Ceramic Inserts: The gold standard for years. The smooth crystalline substance is extremely slick. Titanium Oxide Inserts: A much newer generation of material that is more lubricious than ceramic. 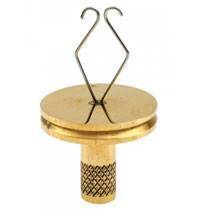 Has a raised micro pebbled or egg carton pattern on the insert that cuts down on surface tension. Ridiculously slick! Dr Slick's Dubbing Comb has a Velcro comb for light materials, and a brass brush for heavy materials. 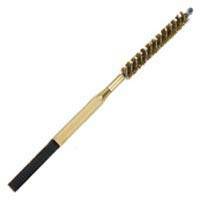 It creates a perfect bead of dubbing when raked through dubbing materials. Dubbing Twister to apply dubbing to your thread. Brass Hair Stacker the traditional choice.